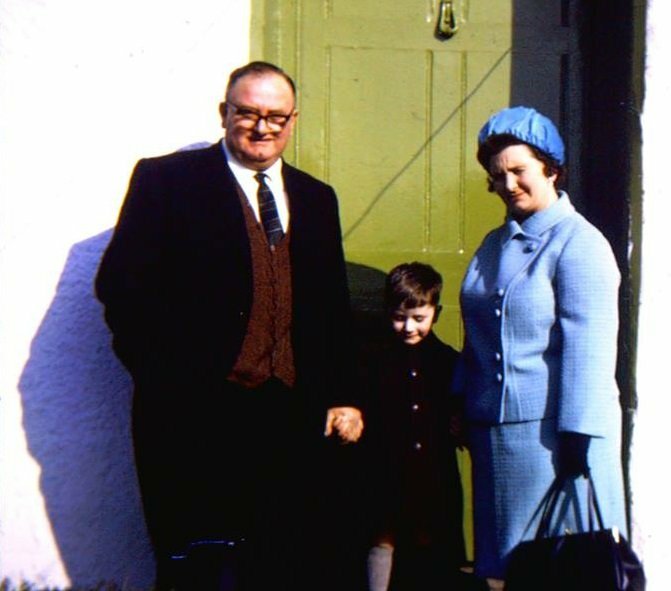 This photograph shows Joyce and Charlie Parsons and their son Richard. They lived at 38 Pilton Street next door to Sister Bates who lived at 39 Pilton Street. Charlie, who had driven tanks in World War II, was a decorator and Joyce was the oldest child of Pilton Church Verger Archie Griffiths and his wife May. Joyce Parsons was a dinner lady at Pilton Church School in the early sixties and was the cousin of Nancy Squire of 116 Pilton Street. Later in life Joyce moved into No 4 Upper Feoffee Cottages and enjoyed a lovely view down the entire length of Pilton Street. Charlie and Joyce were also Wardens to the Feoffee Alms Houses and Joyce used to check everyone in the Almshouses everyday! We think they had an elder son called Andrew. Many thanks to Stuart Ackland who posted this photograph on Facebook in October 2014 and for the contributions made on Facebook and by John Norman.